Strange things happen in the large area of protected wilderness where I live (see original thread here: http://www.paranorma...opic=43273&st=0). 1. Days of extreme, unnatural quiet. 2. Days of very odd weather. 3. Been followed by noisy, large-sounding people/animals/creatures(?). Have also been charged by something large and heard strange calls. 4. Noted there's a particular area of the woods where the above and other strange stuff seems to occur. 5. Noted the remnants of old, odd excavations of some sort. 6. Discovered odd teepee-like structures. It's a beautiful and odd place! It sounds very quirky area. I read your original post; are there people still walking around in the dark? Just wanted to make it clear that there's a lot more going on than UFO sightings and what I mentioned in the other thread. I don't really know. I haven't seen anyone out there late at night myself lately. Edited by buffamy, 11 April 2018 - 04:29 AM. Lol, the only visible "weirdo" (You're not a weirdo by the way, just different, and that's a wonderful thing to be.). Who knows what invisible creatures might be lurking. Hey I live in the only county that if you shoot a sasquatche you will be breaking the law! You never know whats out there!!! I literally just watched a youtube video yesterday, it was about strange laws, and that was one of them. ... Who knows what invisible creatures might be lurking. Yeah, I've even wondered at times if someone wearing some kind of high tech, optical camouflage was messing with me. It's very strange when what sounds like a large someone or something is crashing through the brush right beside you but you don't see a thing. Sasquatch is definitely a prime suspect and I've caught a glimpse of a large black figure before. The figure moved so fast though I couldn't really make it out, it was just kind of a blur. By the way it jumped I know for sure it wasn't a bear. Edited by buffamy, 11 April 2018 - 03:20 PM. The grouping of teepee-like structures I came across were all in 100 ft of each other and some of the trees used were pretty large. I really don't see how people could drag around or move the larger trees in place without heavy machinery. 7. Besides your standard disc-shaped UFO sightings there's also been a couple of close-up sightings of military-looking black helicopters (close enough that the pilot and crew were visible and described as wearing black military uniforms). Apparently, neither the helicopters or the uniforms of the crew had any visible insignias or markings that identified them. Edited by buffamy, 11 April 2018 - 03:19 PM. 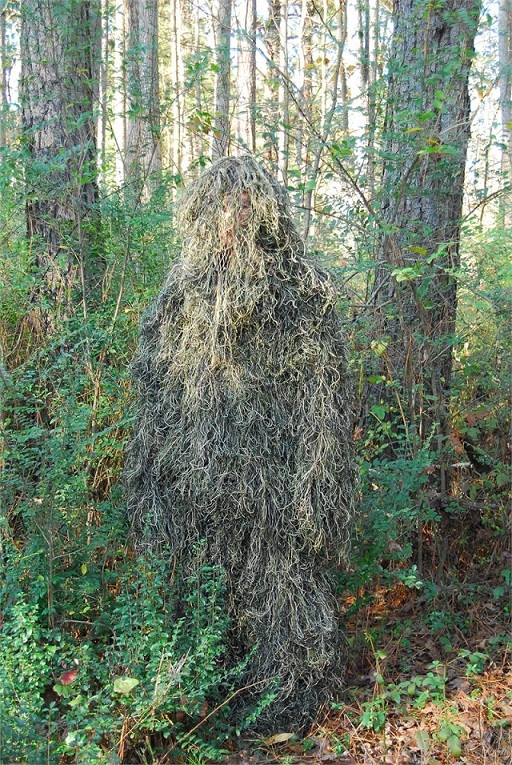 A man in a ghillie suit is a possibility. 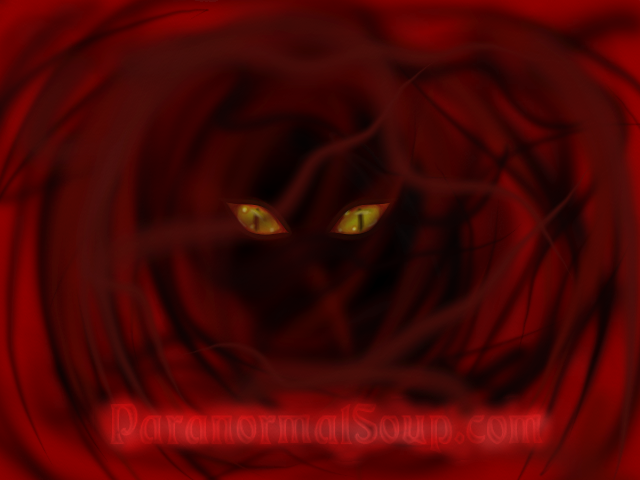 We have an area called Hockomock Swamp that also has reports of the black helicopters, as well as strange creatures. that would be scary sight, seeing that suit out in the wild! My son has a gilly suit he did go out and scare hikers when he was younger. I appreciate the suggestion but 'a man in a ghillie suit' is not a possibility. In the fairly sparse bush where some of my 'encounters' occurred, I 100% - absolutely no question about it - would've seen any person in a ghillie suit, or any large animal, that charged right up to me or who sprinted by me within arms length.. Besides that, whatever has followed me and crashed through the brush at times moved faster than any human athlete could manage on a running track, nevermind running through bushes, around trees, and over uneven ground. As well, the large figure I did manage to catch a glimpse of was black, had fur, and moved with an agility beyond a human or even a bear. Bears are of course way faster than people, but bears don't shoot/leap through the air like I saw this thing do. Cryptids like sasquatch and dogman would most accurately fit the overall size/shape/movement of what I briefly saw. And really, as the figure looked to be significantly heavier in the front than in the rear, and the body appeared to taper through the the waste or torso, it matches descriptions of dogman better than descriptions of sasquatch in the area. Myself, I think there's all sorts of strange creatures out here... cryptids and who knows what else.